In what Yogi Berra might describe as a case of “déjà vu all over again,” the U.S. Court of Appeals for the Ninth Circuit issued a January 9th decision holding that dealership service advisors are not exempt from overtime requirements under the Federal Fair Labor Standards Act (“FLSA”). 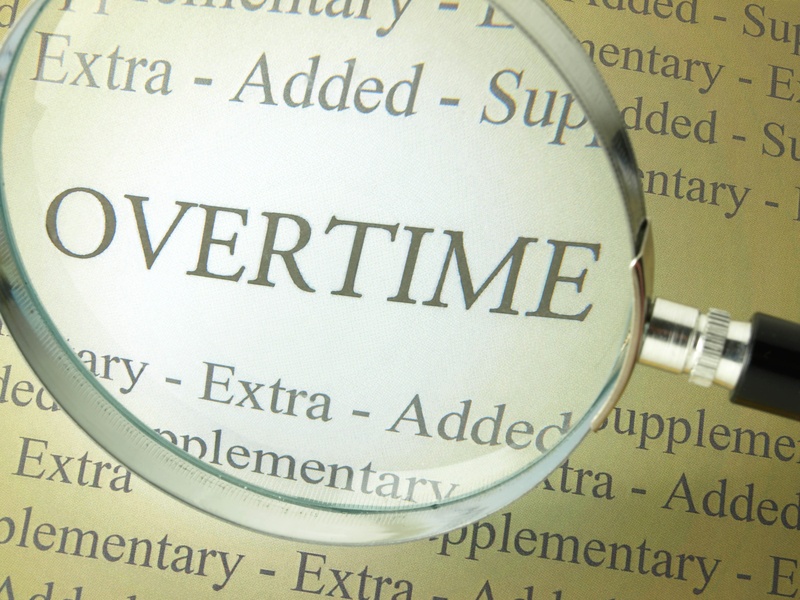 In short, the Court ruled service advisors, who were historically exempt under a dealership-specific exemption, must now be paid overtime for hours over 40, unless another exemption applies. As you may recall, this same Court made a similar ruling in 2015, but the U.S. Supreme Court reversed the earlier ruling in a June 20, 2016 decision that sent the case back to the Ninth Circuit. This protracted legal back-and-forth revolves around an interpretation of whether the U.S. Congress intended service advisors to be included within the FLSA’s exemption for certain automobile dealership positions and the weight that courts should give to the U.S. Department of Labor’s historical interpretation that service advisors were exempt. Specifically, the FLSA expressly exempts certain dealership employees from the requirement to pay overtime (1.5 times the hourly rate for hours worked over 40). This exemption applies to, “any salesman, partsman, or mechanic primarily engaged in selling or servicing automobiles, trucks, or farm implements, if he is employed by a nonmanufacturing establishment primarily engaged in the business of selling such vehicles or implements to ultimate purchasers.” 29 U.S.C. § 213(b)(10) (2016). From 1978 to 2011, the U.S. Department of Labor interpreted this exemption to apply to dealership service advisors (as salesman of services), however, in 2011, the Department reversed course and issued a new rule that applied the exemption only to “salesman”, meaning service advisors would have to be paid overtime. Since the Department of Labor issued this rule, dealerships have been challenging it, arguing the Department of Labor overstepped its bounds by changing course so dramatically and misinterpreted the FLSA. When the U.S. Supreme Court weighed in in 2016, it ruled only that the Ninth Circuit improperly gave too much weight to the Department of Labor’s interpretation, without deciding whether the Court’s interpretation was correct. The U.S. Supreme Court sent the case back to the Ninth Circuit with guidance on the level of deference it should give to the Department of Labor. Now, the Ninth Circuit weighed in again and decided, without giving any weight to the Department of Labor, the FLSA is clear enough on its own that its exemption does not extend to service advisors. According to the Ninth Circuit, the FLSA is meant to exempt workers who sell cars, not services. This decision applies to Courts in the Ninth Circuit (Alaska, Arizona, California, and Hawaii) and is binding on those courts. While it contradicts earlier decisions by courts in the Fourth (Maryland, South Carolina, North Carolina, Virginia, and West Virginia) and Fifth (Louisiana, Mississippi, and Texas) Circuits and the Supreme Court of Montana, those decisions are now in question. As far as the U.S. Department of Labor is concerned, dealerships should be prepared for the Department to enforce the FLSA in a consistent manner on a nation-wide basis by requiring service advisors to be paid overtime. Unfortunately, this new decision is not likely to end the debate. For now, the Ninth Circuits ruling allows the U.S. Department of Labor to interpret the FLSA consistent with its 2011 rule and for it to require service advisors to be paid overtime for hours worked over 40. However, there will likely be another appeal to the U.S. Supreme Court and there may even be new legislation to extend the exemption to the service advisors. Moreover, with the new administration and new Secretary of Labor, the Department of Labor may, once again, change course. First, dealerships need to assess whether, in fact, their service advisors are working in excess of 40 hours per weekly pay period. Second, if the service advisors are exceeding 40 hours, dealerships should evaluate their pay plans and staffing structure to determine the scope of their potential overtime obligations and options for mitigating them. For instance, even if the dealership-specific exemption does not apply to service advisors, certain service advisors on compliant commissioned pay plans may fall within other FLSA exemptions. Ultimately, dealerships should buckle up for a bumpy ride. In spite of multiple attempts, courts, legislators, and the Department of Labor have not been able to fix the ambiguity with any certainty (if this were a new car, it would be a lemon), but Flaster Greenberg can help and, to learn how, we invite you to contact Ken Gilberg, Adam Gersh, or any member of Flaster Greenberg’s Labor and Employment Practice Group.